This 10 oz. 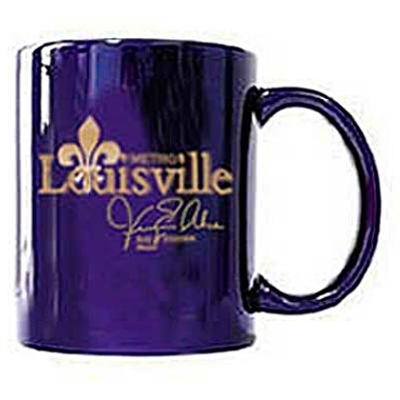 cobalt china mug contains the Louisville Metro logo and signature of Jerry E. Abramson, the first Mayor of Louisville Metro. Louisville Metro was formed in 2003 after voters approved a referendum to merge the City of Louisville and Jefferson County governments.